I am not against dogs. I love dogs. My only use of ‘dog’ when it comes to “Doeg” is for ease of remembering and to gain an understanding of how David felt as he realized he was now a wanted man, being pursued by “Doeg’s”. 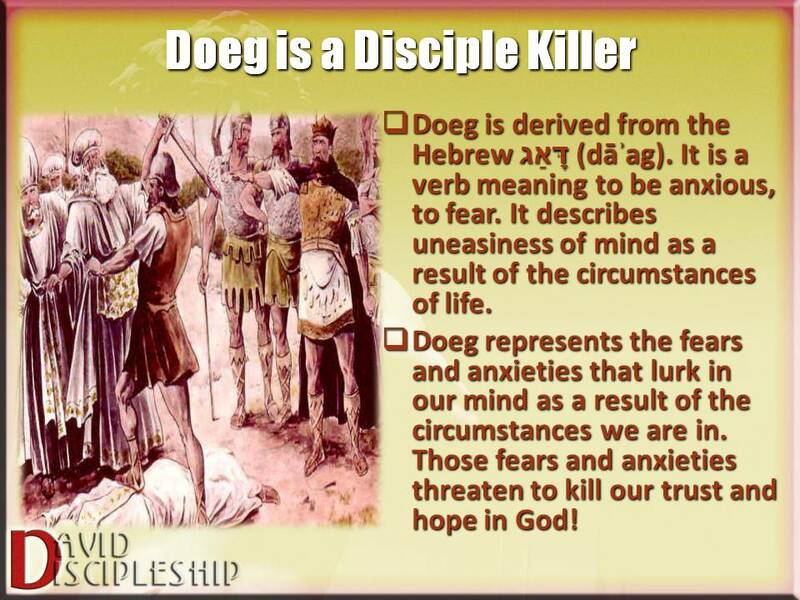 Everyone who desires to be a Disciple of Jesus Christ, must realize there are “Doeg’s” that will work to cause us to stumble from the “way of a disciple”. David encountered Doeg in 1 Samuel 21. Let’s see what lessons on Discipleship can we learn. 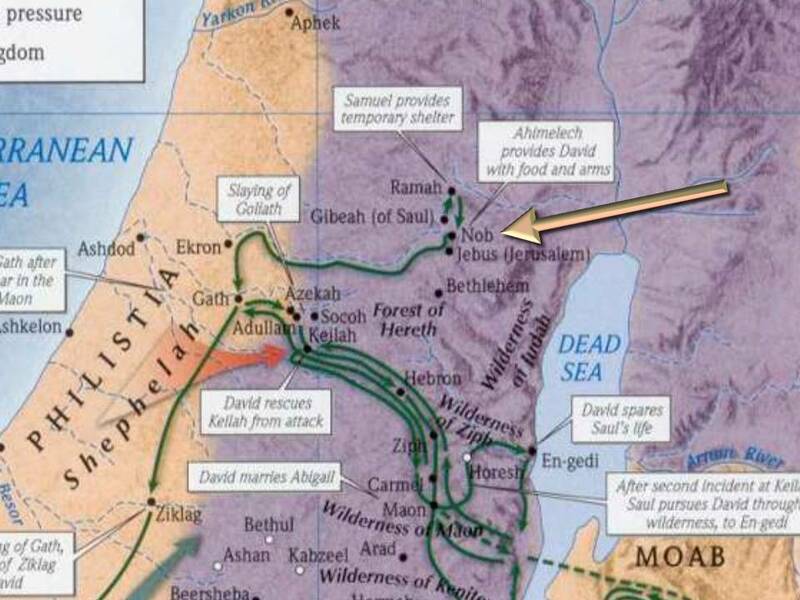 The very first lesson God taught fleeing David took place at Nob. He had an encounter with a ‘Dog’ (Doeg). 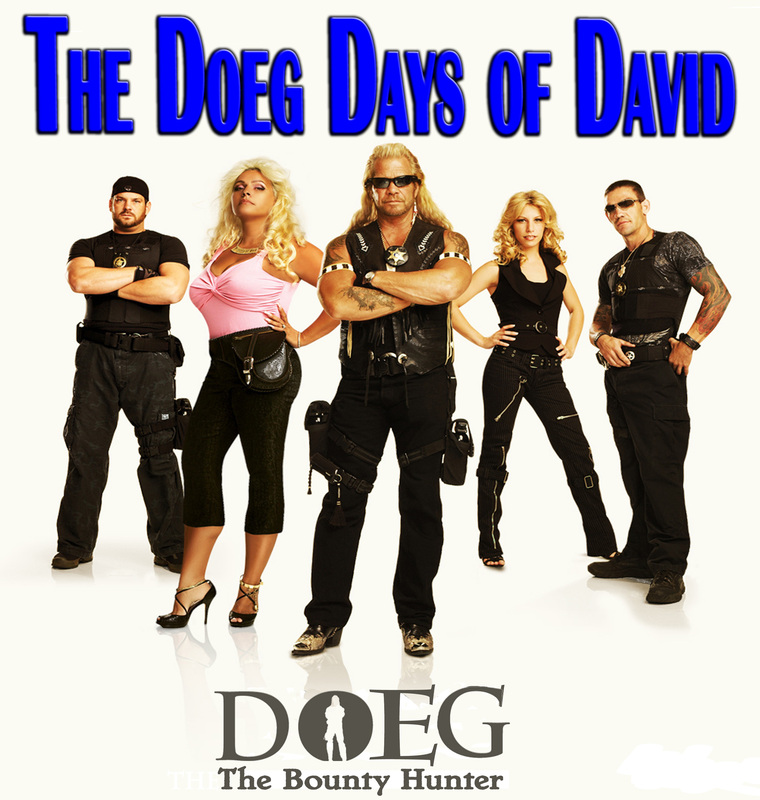 (This is not to condemn “Dog the Bounty Hunter“). He is a just a scary looking “Dog” and he pursues relentlessly. 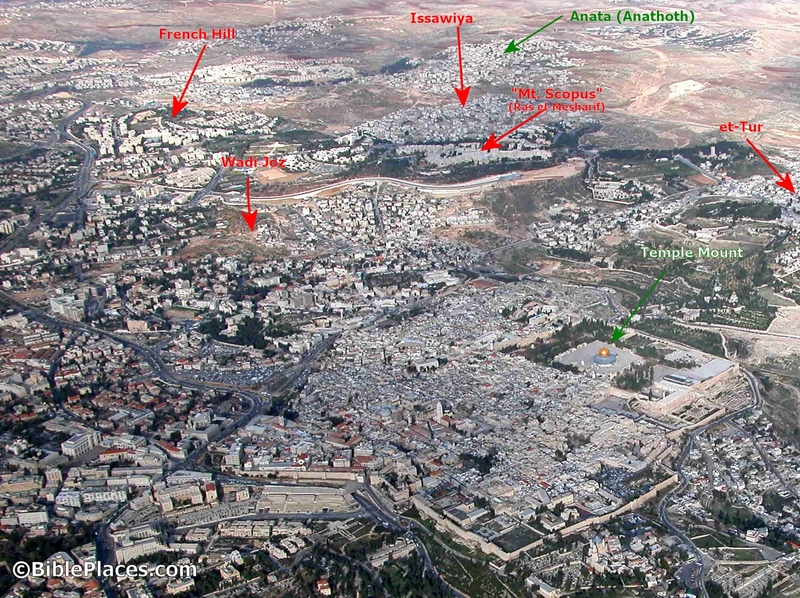 After David left Jonathan at Gibeah, he fled to Nob, the place of the Tabernacle, the city of Priests. Thus began his ‘life as a fugitive’ from Saul, a period of ten years during which he was ‘public enemy number one’ in all of Israel! (1 Sam 21:1-29:11). God used this time of forced exile to develop David into the Disciple worthy of the Kingdom, in fact, a Disciple worthy of leading the Kingdom. God wanted David to face various tests of his faith, trust and hope. God wanted David to lay the foundation of a Kingdom that one day His very Son would rule over. So that foundation must not be in anything of man, or man’s working. The Foundation of the Kingdom of Christ must be in His Justice and His Righteousness. Therefore David had lessons that God wanted him to learn, lessons that would develop David into the Disciple worthy of establishing the Kingdom of His Son! The Psalms that David wrote during these 10 years offer insight into David’s Discipleship. While it’s difficult to determine the background of every psalm, it’s likely that David’s fugitive years are reflected in Psalms 7, 11-13, 16-17, 22, 25, 31, 34-35, 52-54, 56-59, 63-64, 142-143. Psalm 18 is the Psalm he wrote when the LORD delivered him from the hand of all his enemies and from the hand of Saul. It reveals the Diploma David earned after 10 years of extreme Graduate School! He began his Psalm of praise with a strange statement coming from a “mighty warrior” who had eluded Saul’s vast army for 10 years. This is not the kind of thing you would hear today from a WWE champion like ” Triple H” aka “The King of Kings”. Becoming a Disciple is about learning not to rely on your own strength, but to rely on the one who is greater than everything! Nob was known as the town of Priests. The Tabernacle was here and because of David’s relationship with Samuel, he thought he would be welcome here. It was also the responsibility of the Priests to keep provisions on hand for those in need. It was an hour and half walk from Gibeah. It probably took David longer for he had to travel at night, without light, to escape those seeking him. It was the morning of a Sabbath when he suddenly presented himself, alone, unarmed, weary, and faint with hunger before the high-priest. 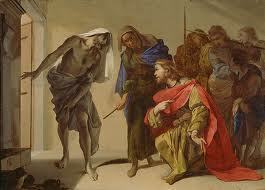 Ahimelech was frightened to see David looking so, without his usual delegation. He may or may not have been aware of the conflict between David and Saul. But certainly he thought something was up. However, David had reasonable answer’s for all of his questions. The King’s business had been so pressing and secretive that David was forced to leave without adequate provisions and weapons. Now then, what do you have on hand? Give me five loaves of bread, or whatever is here.” And the priest answered David, “I have no common bread on hand, but there is Holy bread— if the young men have kept themselves from women.” And David answered the priest, “Truly women have been kept from us as always when I go on an expedition. The vessels of the young men are holy even when it is an ordinary journey. 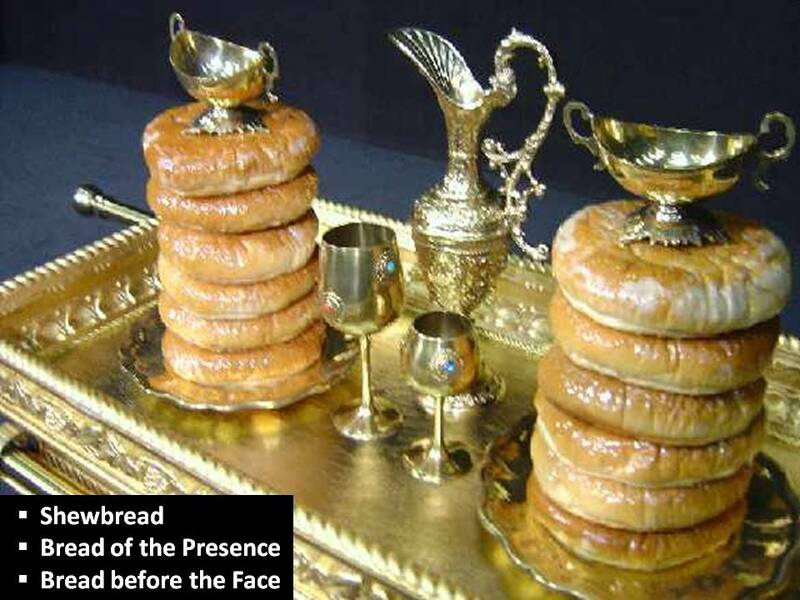 How much more today will their vessels be holy?” So the priest gave him the holy bread, for there was no bread there but the bread of the Presence, which is removed from before the LORD, to be replaced by hot bread on the day it is taken away. David was on the run, homeless, penniless, and had likely been three days without food. He came to the place where he had prayed to so many times. He needed mercy from God. He didn’t need a lecture or a sermon. He needed God’s mercy! This little incident allows us to evidence the decay into which the priesthood and offerings of the people had fallen. The fact that there was nothing to offer David except the shewbread reveals the poverty of the priesthood, and the neglect of such by the people. If people would have been offering sacrifices, there would be plenty of food. When you walk into the tabernacle you enter a door that leads to the holy place. The priest had at his right hand the table of shewbread or also referred to as the table of the presence. It was made of acacia wood overlaid with pure gold. Its size was 2 cubits (3 feet) in length by one cubit (1 1/2 feet) in breadth and a height of 1 1/2 cubits (2 1/4 feet). Around the table was a border of gold and then a little further in, on the table top, an additional border which would hold the contents in place. The table had four legs, and two gold-plated poles were inserted through golden rings attached to the legs for transporting. 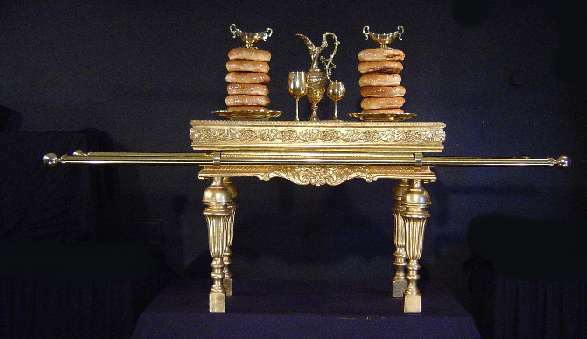 The purpose of the golden table was to hold 12 cakes of bread made of fine flour. They were placed there in two stacks (or rows) of six, each loaf representing one of the tribes of Israel (Lev. 24:8). Frankincense was given to Baby Jesus, and symbolizes His office as High Priest, offering prayers of intercession before the Father for us. Here, sprinkled upon the bread that is to be always before the face of God, it illustrates the truth of what Jesus declared in John 6. When David ate the Shewbread, he was prophetically eating a symbol of the Savior that he hoped in, and who offered his body a broken sacrifice for him. That broken body is ever before the face of God, offering prayers on our behalf! This is a picture of how our Hope is not in our own strength, but the strength that comes from the Bread of Life! Jesus is walking with his disciples through a corn/wheat field. It was on a Sabbath, and they were very hungry. So they plucked the grain and ate it. (I’ve eaten freshly plucked wheat, so I know they must have been very hungry to eat it). Some Pharisees watched and immediately cried “law breakers’! According to the Pharisees, the disciples reaped a crop. They threshed it by rubbing the berries in their hands and breaking the hulls off. Then they winnowed it by blowing the hulls away. By doing so, they were guilty of preparing a meal. Jesus deliberately drew attention to one of the Sabbath’s main purposes: It is a day of mercy and not a day of sacrifice. 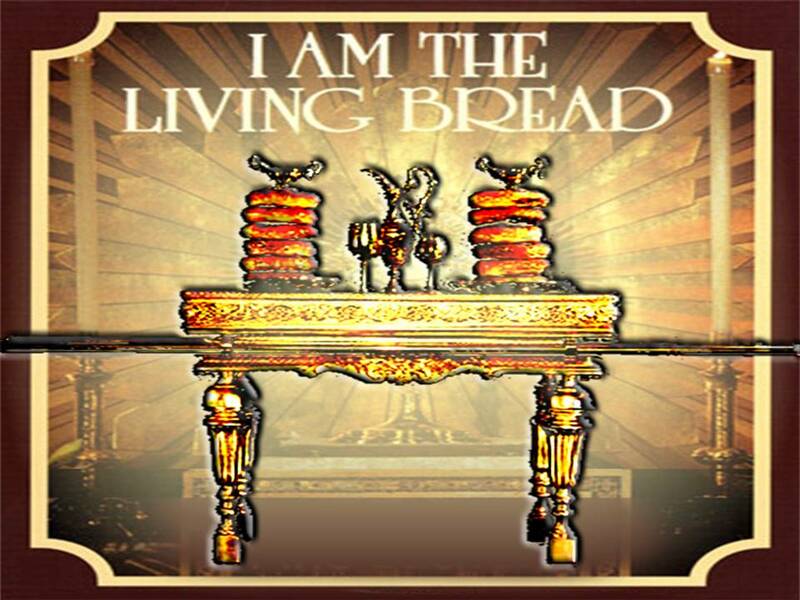 Christ’s referred to 1 Samuel 21-when David ate the showbread. He wanted the Pharisees to understand that the Sabbath is to benefit a mercy needing man. David benefited from the Mercy of Ahimelech in giving him the showbread at a time when he was starving and weak. 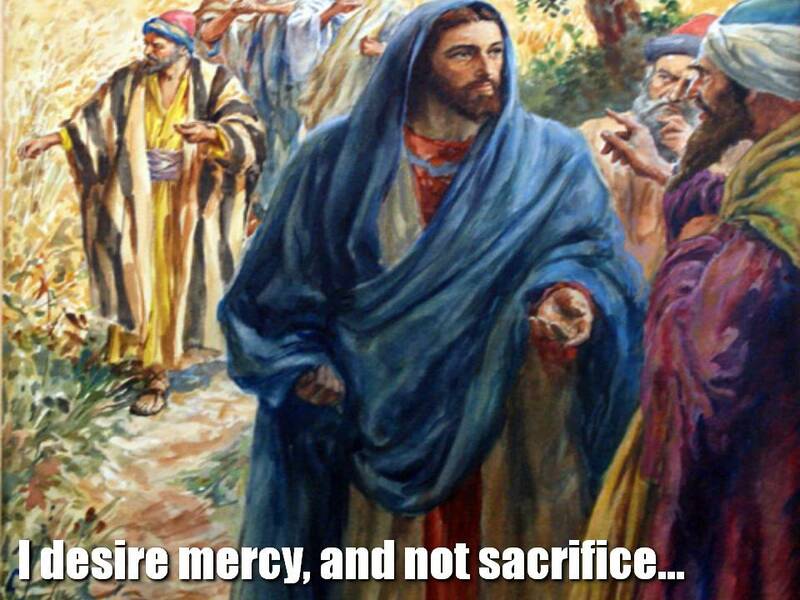 Mercy for the weak and hurting trumped the Law. Christ is always about Life, not Death. The Pharisees didn’t understand Jesus. They did not see the Life He offered. The Sabbath is a Day of Mercy for it is a Day of Hope! David was about to learn the need for Hope! It so happened in the Providence of God, that on this special Sabbath, one of Saul’s principal officials, the “chief over the herdsmen,” was in Nob, “detained before Jehovah.” The expression implies that Doeg was obliged to remain in the sanctuary in consequence of some religious ceremony—whether connected with his admission as a proselyte, for he was by birth an Edomite, or with a vow, or with some legal purification. (22:22). Doeg’s presence at the tabernacle is a mystery. He was an Edomite and whose presence would not normally be welcomed. He was “detained before the Lord” at the sanctuary (1 Sam. 21:7). Perhaps he had become a Jewish proselyte and was following the Hebrew faith in order to hold his job. As Saul’s chief shepherd, Doeg could easily have become defiled so that he had to bring a sacrifice to the Lord. David knew that Doeg would report to Saul what he had seen at Nob and that this would mean trouble.Perhaps that is why he was not being honest with Ahimelech, so as to insulate him from the wrath of Saul. Doeg, wanting to gain from Saul, (Saul had just mentioned what he could give people), told about David being offered help by the Priests in Nob. He did not reveal that David had gained the help by misleading Ahimelech. He knew his information would better him at the expense of the Priests. 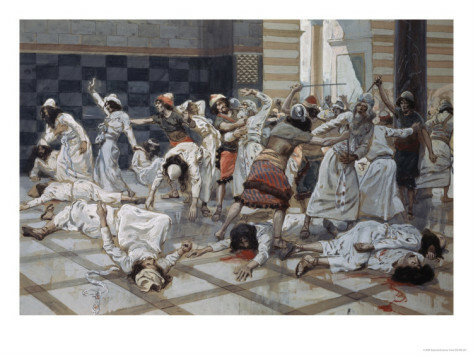 When all of Saul’s servants refused to go against the Priests, Saul turned to Doeg, and he not only killed all the priests, but he went to Nob and killed everyone there, boys, girls, mothers, even infants. He totally wiped the city of Nob from the face of the earth. Doeg was not only a Doeg, but he was a Destroyer. 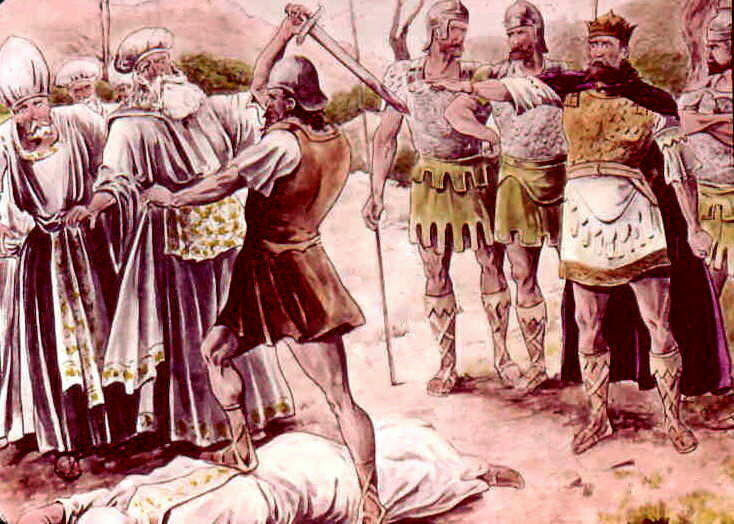 David had faced Goliath, and defeated him with a single stone. David’s heart was so united with God’s that there was nothing of this world that could defeat him. Now David was on the run from his authority, the anointed King of Israel. David had the love of Jonathan, and a few servants, but no one else to aid him, except God. So he came to the Tabernacle for food, provisions, and to inquire of the Lord for guidance. There he encountered Doeg, and David knew he was evil, but he had no idea what would happen. Perhaps he had an inkling, and that is why he did not tell Ahimelech the truth. As a David Disciple you will encounter Goliath’s, you will encounter Saul’s, and you will encounter Doegs. Doegs are very dangerous to Disciples, for they lurk in the shadows. They don’t come directly at you. Often they are an unseen enemy. But Doegs are very deadly. Doeg is derived from the Hebrew ‏דָּאַג‎ (dāʾag). It is a verb meaning to be anxious, to fear. This word describes uneasiness of mind as a result of the circumstances of life. Doeg represents the fears and anxieties that lurk in our mind as a result of the circumstances we are in. Those fears and anxieties threaten to kill our trust and hope in God! 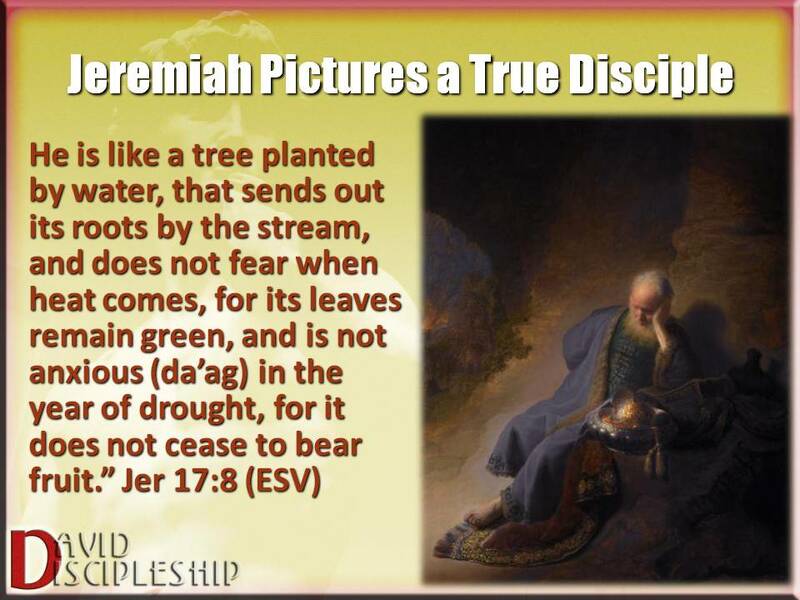 Jeremiah was called the weeping prophet. 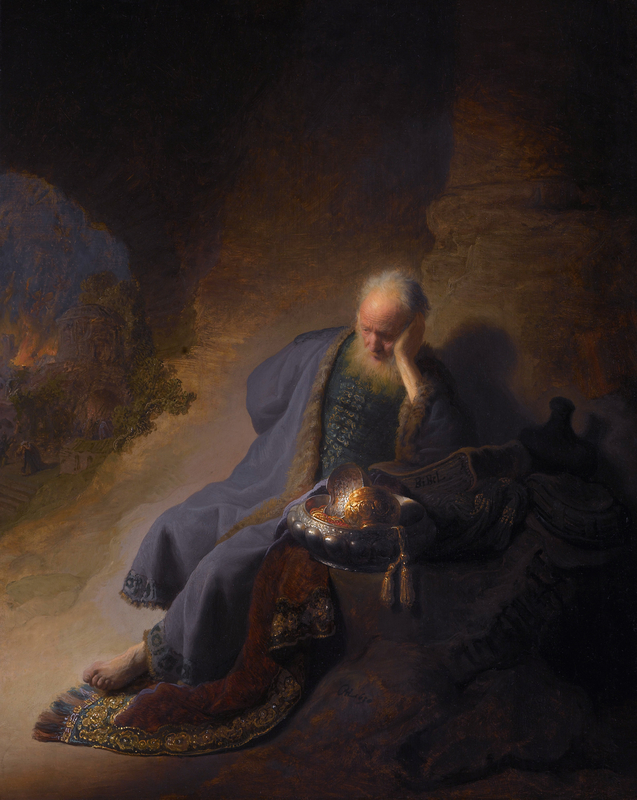 One poignant moment immortalized by Rembrandt depicts Jeremiah grieving over the destruction of Jerusalem and the First Temple by Nebuchadnezzar. Tradition has him in a grotto just outside the North Wall of Jerusalem. It is under the hill called Golgotha. He wrote the five poems of Lamentations near the place where our Savior was crucified. Jeremiah’s sermons and prophecies were ignored and scoffed at by the leaders of Jerusalem. Jeremiah (in a message from God) encouraged the soldiers to surrender to Nebuchadnezzar to save the city. They threw him into an empty cistern in the King’s palace prison and he sank in mud up to his armpits. They left him there to starve to death, hoping to silence him. Still he kept on preaching the Word of the Lord. Fortunately an Ethiopian man, a court official, persuaded the King to release Jeremiah. It took thirty men with ropes to pull Jeremiah out of that mud. In spite of his grief and despair over the circumstances he was in, Jeremiah never lost his Hope in God. The hesed of God strengthens our heart to defeat Goliath. The mishpat of God enables us to endure the injustice of Saul, as we focus on our responsibility to build our house by reaching out to the lame and lost. The Tsedaqah of God allows us to conquer the Doegs of life by focusing on the Hope we have in Christ, and His righteousness. God told David to go to Gath (when he inquired of Ahimelech), for God wanted David doubly learn this lesson. God wanted David to never forget! Psalm 34: “Of David, when he pretended to be insane in front of Abimelech, who sent him away”. 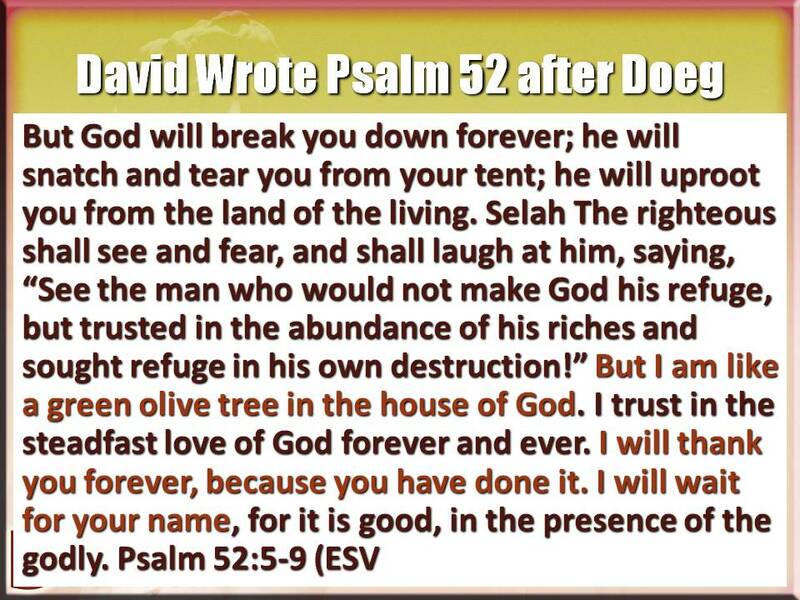 Psalm 56: In God I Trust “To the choirmaster:. A Miktam of David, when the Philistines seized him in Gath”. David learned that the fear of the Lord conquers every other fear (vv. 9-16). 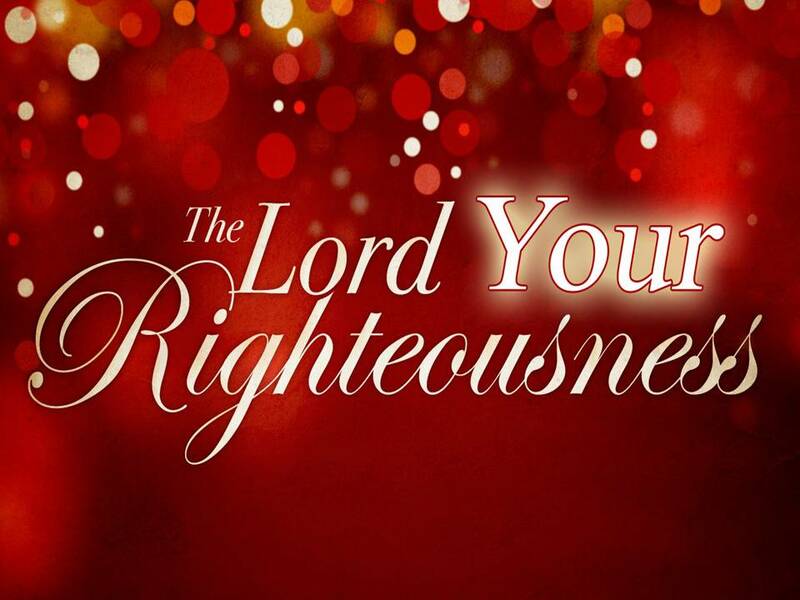 When you walk in fear of the Lord, you walk in His Righteousness. When you walk in His righteousness, you are no longer walking in fear or anxiety. Doeg can never push you from the discipleship path! How are you handling the Doegs of Life? Are circumstances getting to you? Is fear lurking in the corners of your mind? Have you been hoping in something that has let you down? 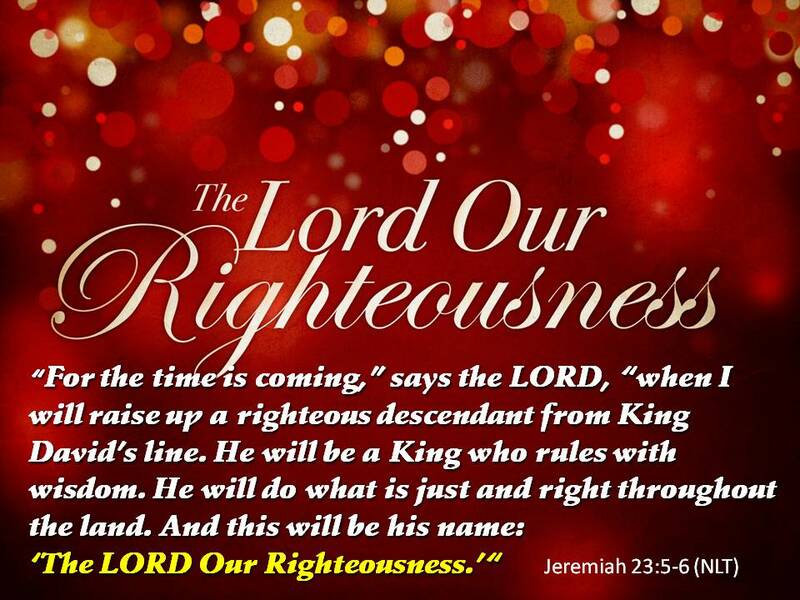 Perhaps it is time to follow David, and learn the fear of the Lord, learn that Jesus is your Righteousness! Life is never meant to be up to us. There are too many “Doeg’s” that lurk in the shadows. Fear is a discipleship killer. There is no fear of man when we walk in fear of the Lord, when we walk in the Righteousness of Christ! Warren W. Wiersbe, The Bible Exposition Commentary – History, (Colorado Springs, CO: Victor, 2003), WORDsearch CROSS e-book, 264. James Strong, Strong’s Talking Greek & Hebrew Dictionary, (Austin, TX: WORDsearch Corp., 2007), WORDsearch CROSS e-book, Under: “5011”. Warren Baker and Eugene Carpenter, The Complete Word Study Dictionary – Old Testament, (Chattanooga, TN: AMG Publishers, 2003), WORDsearch CROSS e-book, Under: “אֲחִימֶלֶךְ ’aḥiymelek̠”. Alfred Edersheim, Bible History Old Testament, (London: Religious Tract Society, 1890), WORDsearch CROSS e-book, Under: “CHAPTER 12”. R. Laird Harris, Gleason L. Archer, Bruce K. Waltke, ed., “393: ‏דָּאַג‎,” in Theological Wordbook of the Old Testament, (Chicago: Moody Press, 1980), WORDsearch CROSS e-book, Under: “‏דָּאַג‎”.